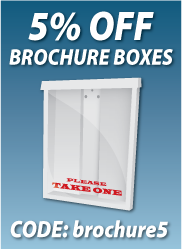 Brochure Boxes are ideal for advertising your Real Estate property. Suitable for all weather conditions and climates. Place your Flyers in our Brochure Flyer Boxes.